exas commemorates the 300-year anniversary of the original construction of the Alamo in 2024. By that time, the Alamo will have undergone a $450 million restoration and enhancement that includes recreating sections that have been lost over time, expanding the grounds to include the mission compound’s original footprint, and adding a museum of the Texas Revolution. 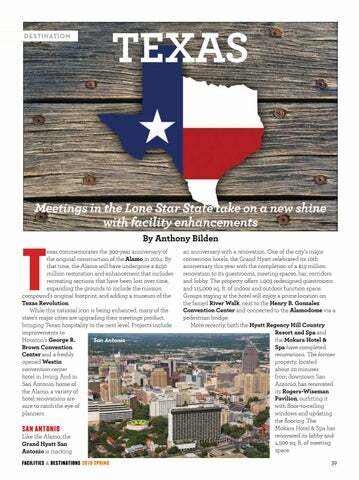 While this national icon is being enhanced, many of the state’s major cities are upgrading their meetings product, bringing Texan hospitality to the next level. 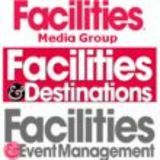 Projects include improvements to Houston’s George R. San Antonio Brown Convention Center and a freshly opened Westin convention center hotel in Irving. And in San Antonio, home of the Alamo, a variety of hotel renovations are sure to catch the eye of planners.